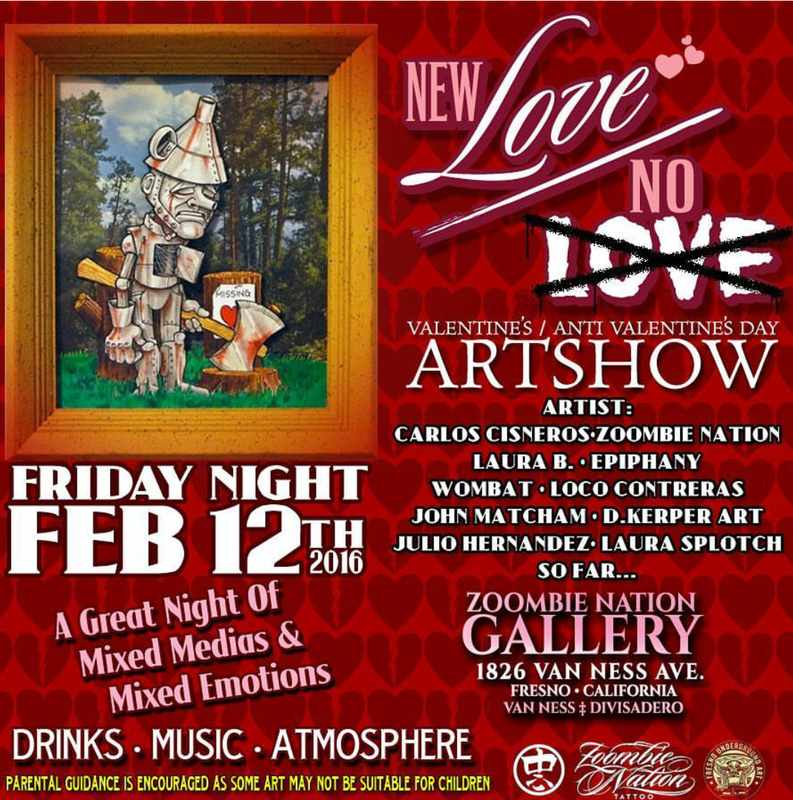 New Love/ No Love Artshow next Friday. 1826 Van Ness Ave., Fresno Ca. This entry was posted in Uncategorized and tagged 559, art, artshow, cacillustrations, carlos cisneros, fresno, Fresno art, Fresno underground art, illustration, new love no love, valentine's day, zoombie nation. Bookmark the permalink.